Besides the dying headphone jack, there are so many ways you can enhance the listening experience on mobile. There's the obvious gift of a great pair of headphones, but also a number of accessories which improve the quality of the audio so that your friend or family member gets the best possible sound when they jam out. Here are a few must-have gifts for anyone who loves to listen to music. The demise of the headphone jack in smartphones is coming very soon. With OnePlus falling with the 6T, there are now only two major brands which still support the port in their flagship, LG and Samsung (with rumors indicating the latter might lose it in 2019). This fact leaves us with a small pool of phones to recommended. Fortunately, the limited options are all excellent choices. Unlike other OEMs, LG not only retained the headphone jack, but enhanced it. Using four sub-DACs, LG's flagship devices can deliver amazing sound quality and an improved signal-to-noise ratio over the 3.5 mm port. Both the V40 ThinQ and G7 ThinQ include this component and can effectively drive even the most expensive headphones. Both devices can also streaming Hi-Fi music using MQA, an audio format which delivers higher quality audio files at smaller files size. These are some of the few smartphones on the market which can stream music through Tidal Masters. Despite the lack of a headphone jack in the Razer Phone 2, it still has one of the best dongles included in the box. The Razer Phone Audio Adapter is a THX certified 24-bit DAC that handle headphones with impedance as high as 300 Ohms (the higher the impedance, the more power is needed by the smartphone to deliver higher audio levels and typically found in better headphones). Razer Phone 2 also includes some of the best speakers in any smartphone, rivaling the quality of some portable speakers. These are front-facing stereo speakers, powered by individual amplifiers. The speakers support both Dolby Atmos and Dolby 5.1 Digital Surround Sound. And then there is the Essential PH-1. While this phone doesn't have a headphone jack, it made our list thanks to an accessory it recently released. 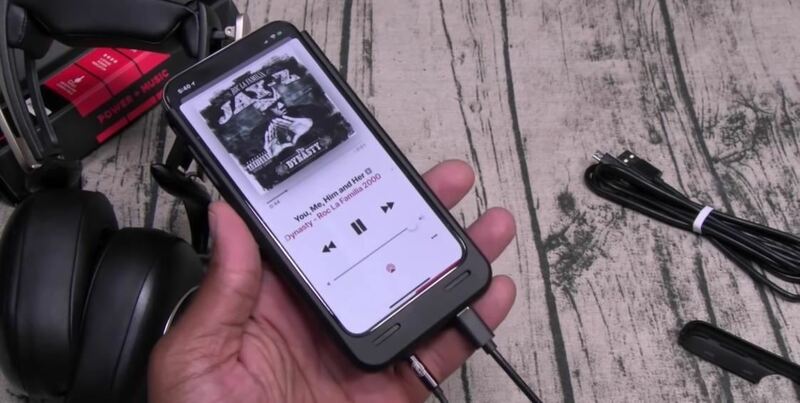 Leveraging Essential's "Click connect" technology, the company created the Audio Adapter HD which not only brings back the headphone jack but empowers it. This module uses the Sabre ES9281 Pro DAC to provide high-quality audio and support for MQA. It also supports Tidal Masters, one of the only streaming services which delivers MQA audio. A must-have for any audiophile is a great pair of headphones. However, because of the state of smartphones, you have multiple options. 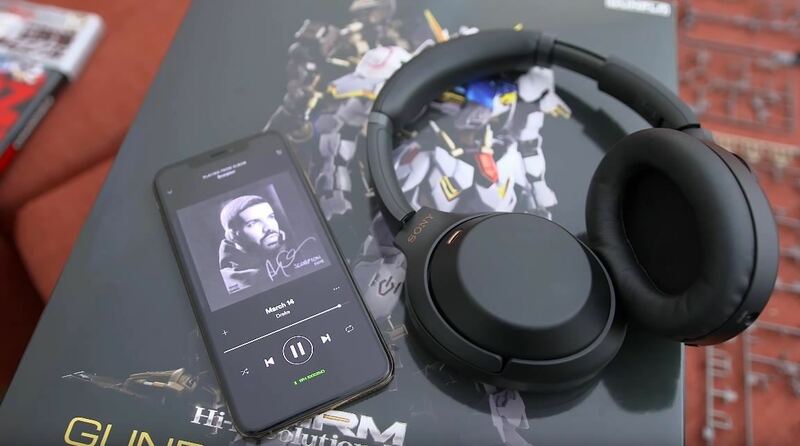 With the vast majority of phones now reduced to wireless or dongles, despite the inferior audio quality, the best choice is Bluetooth-based headphones. The Audio-Technica ATH-M50xBT is the wireless version of the beloved headphones made popular by YouTuber MKBHD. It offers the same excellent quality and comfort as the wired version, but uses Bluetooth and offers 40 hours of battery life. The Sony WH-1000XM3 is an option if you want to spend a bit more while avoiding "flagship smartphone prices." It is the only headphone on our wireless recommendations list that includes noise canceling, making it perfect for someone who has a long commute. With noise cancelling enabled, you can get lost in your music, deaf to distractions around you. Being a Sony product, it also supports Sony's Hi-Fi audio format, LDAC. It also has built-in Google Assistant support allowing you to listen to emails, set reminders, ask a question, and much more, all without taking your phone out. The consensus across the web is that Beyerdynamic Amiron are the best sounding wireless headphones available on the market. While the high price tag might scare you off, it is a great gift for someone who truly loves music. The sound is rich and detailed. Listening to tracks is an experience, opening your ears to sounds you previously couldn't hear. It also supports aptX HD (a Hi-Fi codec), is comfortable to listen to for hours, and can be used with a 3.5 mm headphone jack. If you decided to buy one of the phones we recommended (or the person you are buying a gift for still owns a phone with a headphone jack), here are a few recommendations for wired headphones. The Audio-Technica ATH-MSR7BK continues the tradition of Audio-Technica's balanced sound. It is very comfortable to wear and offers great audio quality. Its design may not be for everyone as it has a DJ-inspired look. The Sennheiser Momentum 2.0 is well-designed headphone. The sound is more punchy than typical Sennheiser products, as these headphones are aimed at more casual fans. However, the sound quality is no sacrifice and offers great comfortability on your ears for an extended period. 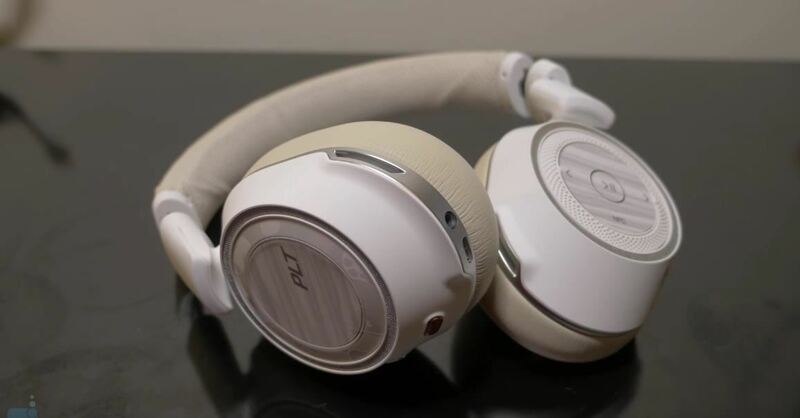 Finally, there is the Oppo PM-3. These are headphones which use Planar Magnetic drivers (hence the PM name) instead of the dynamic drivers commonly used by headphones. Using this technology improves the quality of sound by limiting the distortion. It is a bit heavier because of this, but worth it if you love music. The W1 chip is a proprietary chip that Apple created for improving the pairing and streaming quality of Bluetooth accessories. Headphones which support the W1 (or improved W2 chip) will enjoy faster pairing and fewer disconnects during streaming. It also uses less power than typical Bluetooth devices and provides a longer range than most alternatives. It only fully works with newer iPhones, but if the person you're buying for has an iPhone 8 or newer, they're a must-have. Google introduced Android Fast Pair back in 2017 as a way to make pairing Bluetooth devices easier. Fast Pair supported devices don't require any tinkering in settings — instead, once the device is in pairing mode and nearby, you "Tap to Pair" and it's done. Later on, Google added a new feature to this technology where the device would link to your Google account. With this connection, anytime you switch phones or use a different Android device, as long as you're signed in with the same Google account, your headphones will already be paired. We listed the best one below, but check out our full list for more options. When OEMs started to release phones without the headphone jack, most included a dongle in the box to convert the data port to a 3.5 mm headphone jack. This dongle was typically small and easy to lose, but it remains one of the only options (and the cheapest option) for those refusing to make the switch to wireless. Fast forward one year later, and we're seeing several OEMs (such as Apple) not including dongles in the box anymore. While we can debate in the comment section on why a $1,000+ phone doesn't include a $9 accessory, it does present an opportunity for a gift. While a dongle isn't the sexiest gift (I can't imagine anyone opening a present and being excited to see a headphone adapter), it is practical and has a great chance of being used by the recipient. Even if the person happens to have their original dongle still, they could always use a backup as they as are so easy to lose. In our recommendation, we included both standard headphone adapters and some enhanced versions. Some, such as the Razer Phone Audio Adapter, include a high-quality DAC which provides higher amounts of power to drive headphones with higher impedance. And for those who want to charge and listen to music, there's the Belkin 3.5mm Audio + Charge Rockstar which splits the iPhone's Lightning port out to a headphone jack and a Lightning port, allowing you to access both once again. While headphones are ideal for commuting via public transportation, what about when you're driving? 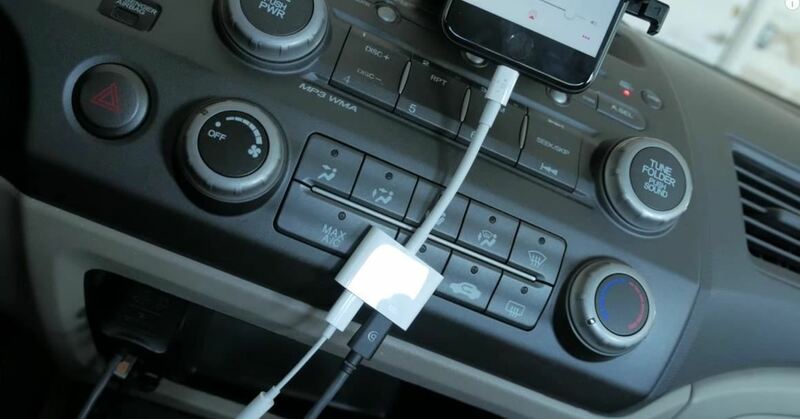 Most modern car stereo systems support one or more inputs to communicate with your phone such as auxiliary (3.5mm headphone jack), USB, or Bluetooth. However, not everyone is driving a new car. And that means they don't have access to Bluetooth or USB. Yet, if they happen to have the auxiliary port at least, even though their phone might have a headphone jack, they can still listen to music. They just need to give their car stereo Bluetooth capabilities. Besides replacing the stereo unit, the easiest (and cheapest) way to add Bluetooth is using a Bluetooth transmitter. Bluetooth transmitters connect to the car stereo via the auxillary port. You then connect to your phone via Bluetooth and stream audio normally. The Himbox HB01 Plus includes a magnetic plate that you can easily hang in your car and move when necessary. It also supports Qualcomm's aptX technology for improved Bluetooth streaming. The Anker SoundSync A3341 is a Bluetooth transmitter that you can use in the car, with your TV, your home stereo, and much more. It uses both Bluetooth 5.0 and aptX HD for HiFi audio. It doesn't include a car charger, so you'll also need to buy something like the Anker 24 W Dual USB Car Charger if the person plans to use it in the car. And then there's the FiiO BTR3. Not only is it a Bluetooth transmitter, but it's also a Bluetooth amplifier. It supports all the wireless streaming formats so you don't have to settle for low quality wireless audio. We loved this accessory so much we wrote a whole article laying out its features. Since 2016, no new iPhone has been released with a headphone jack. As you could imagine, not everyone is happy with the decision. If there is a person in your life that misses the port, we have the perfect gift for you. Encased AudoMod is a case which not only includes a battery, but a headphone jack as well. For all iPhones between the iPhone 7 and iPhone X, you can get a Battery Case which will double your phone's battery life and offer an even better headphone jack than the one Apple used to include in older iPhones thanks to integrated DSP and DAC. Even when phones included the headphone jack, any audiophile would tell you that you still need a portable DAC. Except for LG's G and V series, most phones use fairly weak digital-to-analog converters that can barely drive the cheapest of headphones. However, with a portable DAC, this is no longer a problem. Portable DACs not only improve sound quality, but open up your phone's ability to play higher quality audio files. 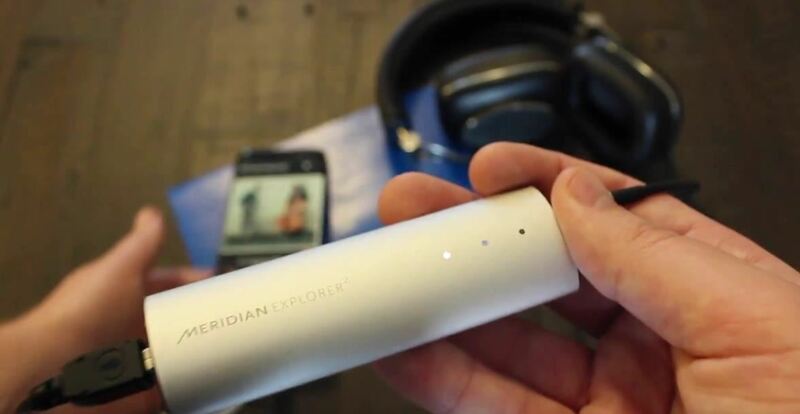 For example, the Meridian Explorer2 lets your phone stream MQA and FLAC files, two Hi-Fi audio formats. Good music is worth sharing, but phone speakers just don't cut it. You need a good pair of Bluetooth speakers if you want your friends and family to really enjoy the music on your phone. If you're a fan of the UE product line, the Boom 3 is a great option. It offers great bass, IP67 water and dust resistance, and a 15-hour battery life. One of its best features is its ability to connect multiple speakers and sync the music across them. Up to 150 UE Boom, UE Boom 2, UE Boom 3, or UE Megaboom speakers can be paired together for the ultimate party experience. The Sony SRS-XB41 provides the same IP67 rating and high battery life but adds one more thing, a 3.5 mm headphone jack. And with its being a Sony product, it supports Sony's Hi-Fi audio codec, LDAC. This audio format is supported by all Android phones running Android 8.0 or newer and provides much better audio quality over the standard Bluetooth transmission. And if you really love the person you are giving a gift to, look at picking up the Bowers & Wilkins Zeppelin Wireless Speaker. These speakers offer fantastic sound quality and an abundance of inputs. 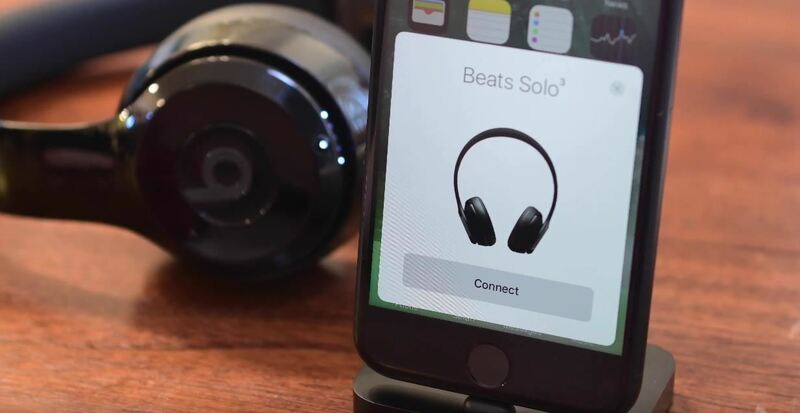 It supports Bluetooth aptX format for better audio, and AirPlay and Spotify Connect to make sharing music even more straightforward. It does require an outlet, but that also means you never have to worry about a battery dying in the middle of your party. While there are a host of options for wireless speakers, you shouldn't have to go out and buy a pair of wireless speakers just because your phone no longer includes a headphone jack. This is where Google comes in. Whether you're an Android or iOS user, you can use the Chromecast Audio to connect your phone to non-wireless speakers. Chromecast Audio connects via the 3.5mm headphone jack of your speakers. After se up, while on the Wi-Fi network, you can "cast" full-quality audio to the speaker, and enjoy music as if it were a wireless speaker. While streaming services are great for music lovers, they don't have every song. They also often output audio at lower quality, requiring you to pay extra for higher quality. However, whether it's a song or the quality of the music, another solution is to store a copy on your phone locally. The problem is that especially with higher quality music, its eats up internal storage pretty quickly. Although smartphones' internal storage has gotten significantly larger over the years, it still isn't enough. Save a few albums in Hi-Fi audio format, FLAC, and you could eat up your 64 GB in no time. Fortunately, if you use an Android device (and your device includes the slot), you can use a microSD card to expand your storage. MicroSD also makes it easier to transfer your collection — instead of using a file transferring app, you can store your music on your memory card and move the memory card to the new phone. For iPhone users, there isn't native support for microSD. However, using SanDisk's iXpand Flash Drive, you can expand your storage up to 256 GB using the Lightning port. 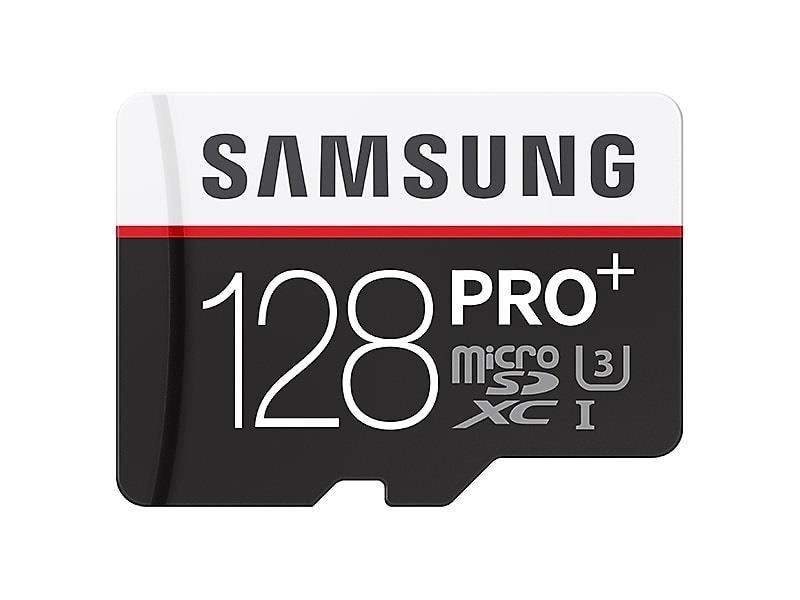 There is a similar solution for Android phones if a particular device doesn't support microSD cards. SanDisk Ultra provides additional storage for both USB-C devices as well as Android devices still using micro USB. Last and possibly least, a gift card is a great gift for any music lovers. Music subscriptions are expensive. With a gift card, you can get someone started on their music journey by paying for a few months of the subscriptions=. Listed below are some of the more popular streaming services which offer online gift card purchases.